1.1 ESC: XERUN-150A-SD 1 pcs. a) For the combo with sensorless motor: XERUN-4274SL, XERUN 4274SL-Lite 1 pcs. 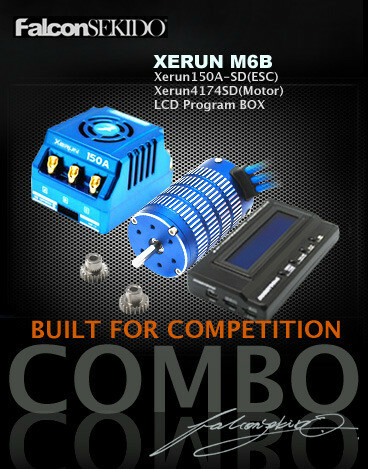 b) For the combo with sensored motor: Xerun 4068SD or XERUN-4168SD or XERUN-4274SD, 1 pcs. 1.4 Programmer: Professional LCD Program Box or LED Program Card, 1 pcs. 1.5 Other Accessories: Double-side gummy tape, Screws for fixing the ESC, Heat-shrink tubing, etc.